Vanishing, exchanging and appearing objects are only a fraction of this gimmicks potential! 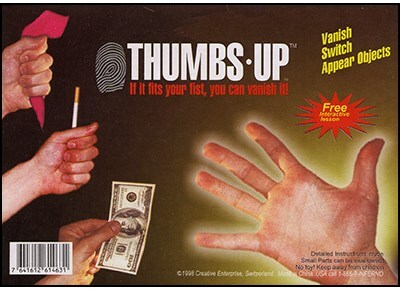 Modern technology paired with Swiss precision, make this thumb tip the first realistic Thumb Tip for professional magicians! Finally, it has the look it deserves... INVISIBLE!Extremely Realistic! Natural Skin Look Hand Painted Details Durable and Reflection PVC No Seams or Edges Adjustable Size Actually Feels Like Skin Softest and Most Realistic Tip On the Market!